Riley Blake Designs "Medium Dots" by Riley Blake Designs. 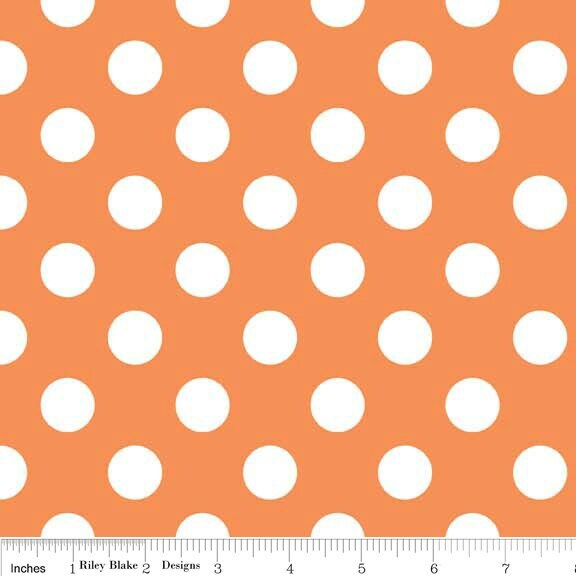 100% cotton, pattern C360-60 Orange. Pattern measures 3/4" in diameter. Riley Blake fabrics that I ordered from you were absolutely on point. Love the baby quilt that I made.